The government shutdown, now in week four, has millions of Americans scratching heads in frustration and wondering why our elected leaders cannot find a compromise. But we shouldn’t be surprised that President Trump is making border security a priority. After all, he ran on a platform of immigration reform in 2016. And won. The U.S. border has been a problem for decades. Many Americans understand this and support the president’s efforts to increase physical barriers between the U.S. and Mexico. While it’s clear an insecure border creates a national security risk for Americans, it’s also become a threat to the safety of migrants themselves. Women migrants are at particularly high risk. The number and share of women arriving at the U.S. border has increased significantly since FY 2012, but the recent waves or “caravans” of migrants have been overwhelmingly male. This puts the relatively small number of women and children among them at risk for abuse. According to the nonprofit group Doctors Without Borders, one in three women migrants is sexually assaulted as she journeys to the U.S.
Migrants of both sexes travel without access to adequate resources or medical care, one reason why so many arrive with infections and injuries. The lack of health services is especially risky for pregnant women migrants. Many migrants are fleeing unspeakable situations in their countries of origin. The Northern Triangle of South America is dominated by gang violence, lawlessness, and corruption. While it’s understandable why people would flee such conditions, we cannot allow lawlessness to accompany migrants here. An insecure border invites criminal behavior and fosters an unsafe environment for all migrants. An insecure border also creates an unsafe environment for Americans. Without proper barriers, border patrol and law enforcement officials cannot track who is entering our country. While many migrants are people of good will, there are also would-be criminals and even terrorists in the midst of the hundreds of people who attempt to cross the border each day. 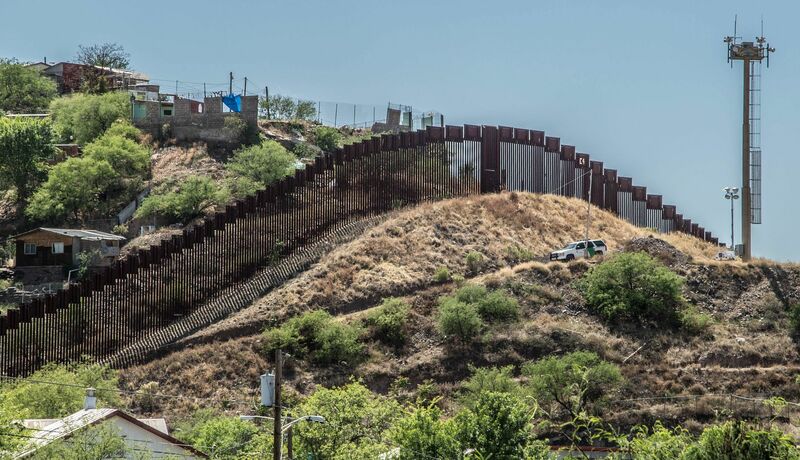 As IWF Visiting Fellow Sara Carter has reported, many migrants attempting to reach the U.S.-Mexico border do not originate in Latin America, but travel to the continent from overseas. Lax migration policies in other nations — particularly Brazil — have created “hubs” along the long journey to the U.S. The weaknesses in our border, and in our immigration laws, are well-known among migrants who seek to exploit them. While more robust physical barriers can’t solve all of these problems, they can help. Yet House Speaker Nancy Pelosi says, in spite of all this, that she will refuse to provide any funding for barriers at the border. Democrats have put themselves in a difficult position; after years of criticizing Republicans for being the “party of no,” Democrats now find themselves saying no to increased border security. Their confused argument hinge on depicting a border wall as “immoral” or too expensive. But his is particularly thin political ice for Democrats who’ve taken the opposite position in the past, favoring barriers. The real problem is that Democrats seem to feel that they have only one outcome for “winning” the shutdown, and that’s zero dollars for increased border barriers. The federal standoff represents toxic politics, but it doesn’t need to be that way. Democrats have long understood that strong borders are an important part of a healthy immigration system. They can show their desire for a better system, by finding common ground, which includes some increased border security along with other efforts to make our system work better, for migrants and those living here today alike. Too often, topics like immigration are presented as left versus right, Democrats versus Republicans, or even Americans versus immigrants. None of these divisive framings is productive or accurate, and result only — as we now see — in a political stalemate. Instead, we should work toward a secure and stable border for the sake of all people. Anything less is truly immoral.